This op-ed originally appeared in the March 12, 2018 issue of SpaceNews magazine. We are in an exciting time for telecommunications services. 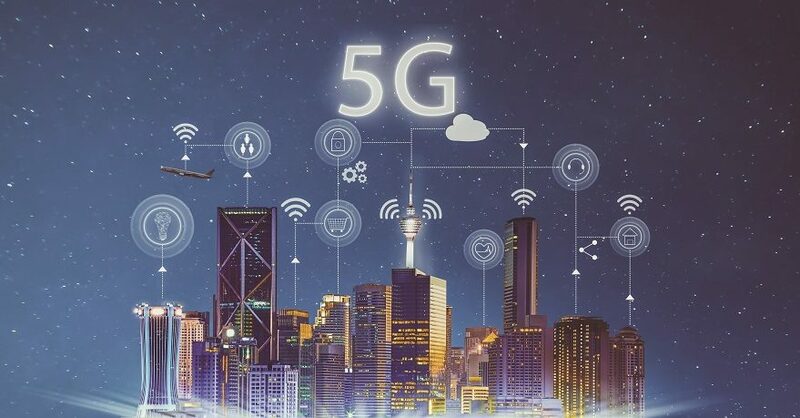 5G, or fifth-generation wireless technology, is on the horizon and will begin being deployed by the end of the decade. The introduction of 5G services will bring users globally the ability to have true anytime, anywhere capabilities to support a myriad of user devices and applications never imagined. 5G will be a network of networks in the truest sense of the word. This network will be comprised of competing communications technologies, whether terrestrial mobile, satellite, fixed microwave, or even high altitude platforms, among others. Because of the anticipated high demand for capacity, each of these services will need access to adequate spectrum to operate. Each critical to the network performing as needed and to reach all users. However, since the required spectrum remains a scarce resource, we must find ways for the different operators to share spectrum where possible, understanding that in some cases, primary use of spectrum is required by one service. In determining how spectrum is shared among the different services, it is important to understand how international harmonization plays into this determination. International harmonization occurs at the International Telecommunication Union (ITU) at its World Radiocommunication Conferences (WRCs), which are held every three to four years. Through the ITU WRC process, spectrum allocations are made and regulations are coordinated on using that spectrum on a global and regional basis. For some period of years, countries have sought identification of spectrum for international mobile telephony (IMT) services. While having no regulatory impact, such identifications provide guidance for use of the spectrum by terrestrial and satellite IMT services, as appropriate. The current WRC Agenda for the 2019 Conference has identified several bands under WRC 2018 Agenda Item 1.13 for possible identification for terrestrial IMT-2020 (also known as 5G). These bands include: 24.25-27.5 GHz, 37-40.5 GHz, 42.5-43.5 GHz, 45.5-47 GHz, 47.2-50.2 GHz, 50.4-52.6 GHz, 66-76 GHz and 81-86 GHz (Proposed IMT Bands). Other bands (31.8-33.4 GHz, 40.5-42.5 GHz and 47-47.2 GHz) are being considered for co-primary allocation to the mobile service and identification as well to the terrestrial component of IMT. Any terrestrial identification for IMT would result in the use of these bands for mobile IMT-2020 services. This means that the deployments would likely be dense, with user terminals and base stations operating in the same band. Many of these deployments will be based on small cell topology. Although the Proposed IMT Bands are or may be allocated to the mobile service (MS), many of these bands are also shared on a co-primary basis with other services, including the fixed satellite service (FSS). While there are some regulatory provisions to enable sharing, both the FSS and MS plans for these bands were not developed at the time of the allocation. The current international regulations do not provide sufficient protections to enable sharing among the services (satellite or terrestrial) being planned for these bands. As such, it is highly likely that use of these bands by one or the other service to support 5G may cause harmful interference into the other radio service(s) operating in the band. It makes sense then for the next WRC in 2019 (WRC-19) to adopt protections for either or both planned uses of these bands so the bands can be used on a non-harmful interference basis globally, or at least regionally. Such protections may also require dedicating certain bands to one primary use. If such actions are not taken internationally, users will have to work on a country-by-country basis to obtain the protections they require for their use of the bands or face potential harmful interference. This is particularly concerning since many countries simply adopt the ITU Radio Regulations for their domestic rules. If there are no protections/regulations internationally, there could be chaos since domestic regulations may not be adopted. This means the spectrum will not be used as efficiently as possible, denying users of access to 5G services. Despite this risk, some ITU participants are urging that the ITU at WRC-19 simply identify all of the Proposed IMT Bands for the terrestrial deployment of IMT on a global basis without the adoption of any regulations that would provide protections for additional uses of these same frequency bands. This approach would provide broad tuning ranges for terrestrial 5G. These advocates argue that countries that want to enable the use of these frequency bands for other uses could do this on a country by country basis or on a regional basis, preferably out of the WRC process. This would provide terrestrial operators and manufacturers, including chip set manufacturers, with the ability to capture economies of scale across the word. However, this approach would result in the unavailability of some if not all of these bands for FSS, including for 5G services. FSS services are inherently global; unlike terrestrial services,they cannot easily account for national differences. First, communications satellites serve multiple countries. Accordingly, if spectrum use for FSS in the above 24 GHz bands is made on a country by country basis, it will require all bands to be supported on the satellite so that they have access to sufficient spectrum to support the capacity demands of users. However, unlike terrestrial base stations and user equipment, satellites have limits on weight that they can launch into space. Critical components, including antennas, feeds, cavity filters and wave guides are optimized for peak performance in specific frequency bands. Each additional frequency band that is added to a satellite adds weight, cost, and complexity. There is a technical limit on the size of a satellite that can be launched into space. Having to include all the bands will make the satellite too large to launch and too costly to build. In addition, incorporating tunable range on board the satellite requires introduction of expensive technologies not yet proven for space operation. Further, this may result in a dramatic reduction in the lifespan of such satellites, and change the economics of commercial satellite communications in an unacceptable manner. Further, the shape of satellite beams will not conform to the territory of each country, as it is limited by the antenna technology; antenna beam forming cannot achieve that level of precision, either from the vast distance of geosynchronous orbit or from a constantly moving non-geostationary orbit (NGSO) platform. When neighboring countries use, different bands, it will be extremely difficult to limit cross-border interference from the satellite system. And of equal importance, the lack of certainty as to the availability of spectrum to operate will make it impossible for the business community to invest in such expensive projects as regional or global satellite networks. This means that having different protections and operational limits in each country will make it operationally difficult, if not impossible, to provide a wide area coverage type of satellite solution which is critical to support 5G over satellites. Adopting tuning ranges internationally for the frequency bands above 24 GHz, without adequate protections for satellite systems operating in these ranges on an international level, will effectively preclude the use of these bands by global or regional satellite systems. It is unclear that countries will adopt the necessary technical protections, since many nations rely on the ITU for their technical expertise. Further, the additional weight that would be required on a satellite, as well as technical and operational complexity of operating a satellite that has to adjust to differing bands and protection criteria on a country by country basis, is not realistic from either a technical or cost perspective. Satellites cannot physically localize their emissions (nor restrict where they can accept interference from) to areas defined to the precision of a national border. The smallest beam diameter in any currently-conceived commercial satellite system is on the order of 100 miles. Every satellite beam will, in general, cross a country border. Every pair of adjacent countries must therefore agree on the satellite spectrum to be used or the satellite cannot be used in that border region at all in either country. The only logical solution is for all countries — globally, or at least on a regional basis — to agree at the upcoming WRC-19 on protections for satellite use in certain bands as well as prime use for user terminals. Failure to do so will mean that true 5G is not delivered to all the world’s population. Jennifer Manner is the Senior Vice President of Regulatory Affairs at EchoStar Corp. and an adjunct professor of law at Georgetown University Law Center. She is also the President-Elect of the US ITU Association, Chair of the Network Service Working Group of ESOA and a Board Member of the Satellite Industry Association.